HSC Study Lab was created at Macquarie University by experienced year 11 and 12 teachers with extensive knowledge in marking. Our courses are based on the aims and objectives of the NSW syllabus and our team of teachers and eLearning professionals have translated these into an online resource to enhance students’ understanding of essential concepts. 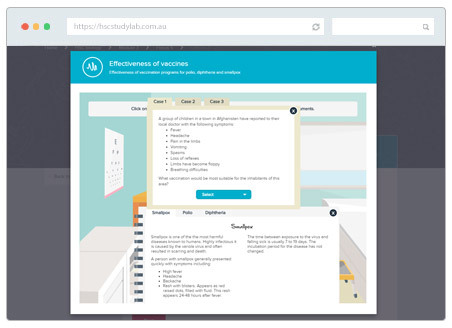 HSC Study Lab courses are available online 24/7 anytime anywhere. Our courses are ideal for students who have missed a class and need to catch up. They can study independently through the watch, play and apply functions. 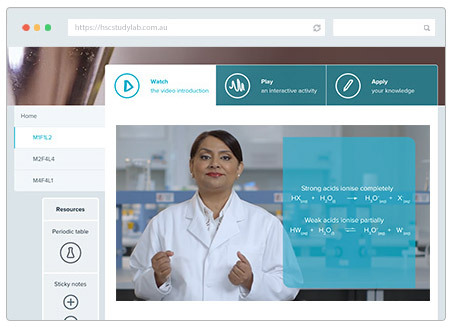 Students can make the most of their time outside of the classroom by using HSC Study Lab to review and understand difficult concepts, prepare for assessments, complete homework, and of course revise for exams. Our courses are a cost effective alternative to private tutoring. The one-off payment allows students to access the courses for a whole year. They can re-watch and review the content as many times as they want. Through our videos, students will always have access to an expert teacher outside of the classroom. Students can also identify their areas of weakness and better understand the content by working through the relevant lessons at their own pace. Comprehensive video lessons help students understand the concepts. Students can put theory into practice with the interactive activities. 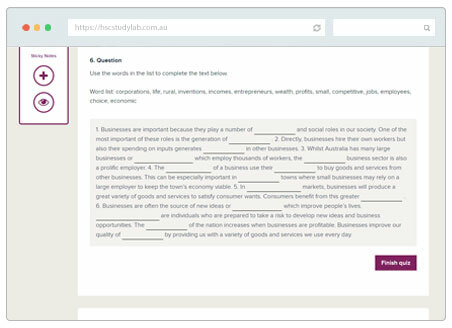 At every stage, students can test their knowledge with HSC style practice questions.